For weddings and services of celebration and reflection. Edited by Ben Parry And Alexander L'estrange. For SA(B) Choir and piano. Published by Faber Music Ltd. 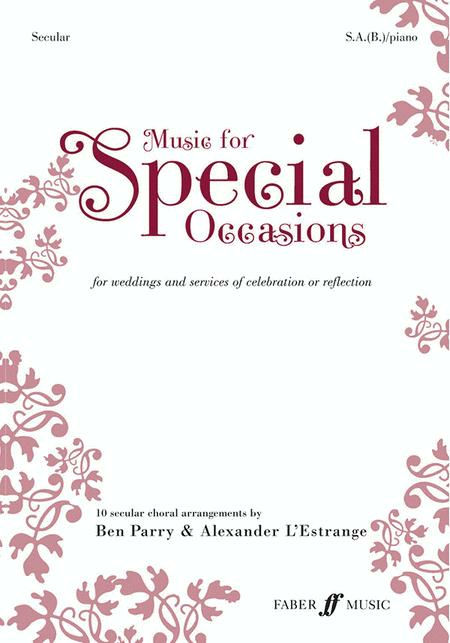 This collection of Music for Special Occasions brings together ten secular choral works to enhance any occasion whether joyful, reflective or commemorative. Some best-loved pieces as well as new compositions are carefully selected and edited by acclaimed choral composers/conductors Ben Parry and Alexander L'Estrange. 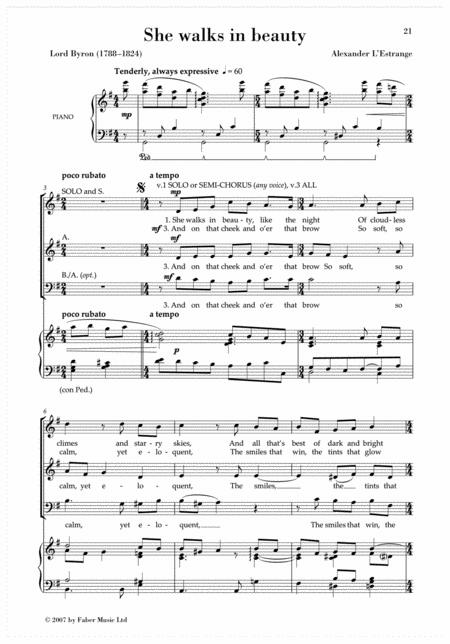 These are practical and flexible arrangements for soprano and alto with an optional third part for limited range baritone, or low alto making it suitable for schools, community and church choirs.